5 Best Summing Mixer Hardware 2019... and Why Your Studio Needs It! 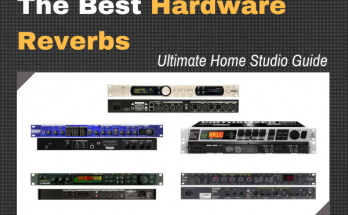 In this guide we’ll cover the 5 best summing mixer rack units for home recording studio. Quick answer: if you want the best value for money, take a look at Dangerous Music 2-BUS LT. However, the Rupert Neve Designs 5059 Satellite the top rated summing mixer you can get. Again from Dangerous Music is the D-BOX which is the popular choice among home studio users. The rest of this post we’ll briefly explain what analog summing mixing is in the buying guide section, as well as provide the best advice when it comes to choosing or deciding whether or not you should be using summing mixers in your home recording setup. By the end of this post, you should have a clearer understand on the benefits of using an analog summing mixer, as well as clear the air once and for all about whether or not you should get one. And if you do, you have a simple choice of just 5 to get yourself started. Buying Guide – Do you need a summing mixer? Below are brief overviews and descriptions for the best summing mixers out there on the market. If you need assistance in making the right choice, or even in finding out if you really do need a summing mixer for your music projects, take a look at the buying guide section of this post. If what you want is a no-frills analog summing mixer that will do one thing and do it well (give you that big console sound for out-of-the-box mixing), take a look at Dangerous Music 2-BUS LT. What makes this unit special is that it offers sufficient connections for the same price of other summing mixers that offer more features, but at the cost of limiting your channel options. This summing mixer is one of the best straightforward units out there that offers the essentials: sixteen great sounding analog input summing channels, and a dual stereo output that will feed your monitoring chain. The 2-Bus LT features an active analog summing circuitry that was designed by the renowned Chris Muth. Connected to the circuitry are 2 D-Sub connectors. They are located around the back of the device, and can connect sixteen channels (eight stereo stems). The analog circuitry allows you to be able to run digital inputs at levels hotter than you normally would, without sacrificing ample headroom. It's capable of handling D/A conversion with +27 dBu max input level. You won't even need to pay attention to the clipping signals within your DAW's mixer, since the audio will come through without much risk of distortion. In addition to the summing input channels are 2 XLR expandable inputs, and 2 pairs of stereo XLR outputs for main and monitors. The front of the device is very lean, with only one master knob, and eight mono switches that pairs the sixteen channels. In addition, there is an expansion port that you can use to link other summing mixers together for more summing channels. It's evident that what Dangerous Music sought to accomplish with the 2-Bus LT is a stripped down summing mixer and amplifier which has only the essentials that you'd want for analog mixing. This is important especially if you already have the other features you'd like in other dedicated gear. Additionally, there are many other types of devices that will emulate the job of a summing mixer. Such as passive summing boxes or line mixers. But often you'd require a lot of make-up gain just to get your audio back to the right level. In the case of the 2-Bus LT, users notice an incredible increase in headroom, massive soundstage, with incredible three-dimension definition. With the space, you get wide and precise panning, deep reverbs, powerful bass, and articulate trebles in your mix. Any downside? The only one we could find is that it doesn't allow option for using any preamps you want. Dangerous Music 2-BUS LT's greatest points are its simplicity, the open clear sound that minimizes the potential for distortion significantly, and the 16 channels it offers. Those would be the 3 main things that would make this summing mixer a great buy. It may not be as feature rich as its cousin, the D-Box (mentioned below), which is your "everything-in-a-box" sort of summing mixer. But it does offer more channels, plus the ability to link up with another summing mixer for even more. Plus its straightforwardness gives it a streamlined workflow. If you've been struggling to get that "bigger sound" out of your DAW and mixes, check it out. The Rupert Neve Designs 5059 Satellite is considered the highest quality summing mixer on this list. Those who are in the know may already be familiar with them, and especially the manufacturer. Rupert Neve Designs is responsible for some of the best studio consoles and hardware on the market, they even have their own Wikipedia page). These consoles can cost up to hundreds of thousands of dollars -- they are real class. And seeing that getting that sweet and silky console sound from those massive consoles is practically impossible within a DAW, the company came out with this sweet sounding summing mixer, which you can use right out of the package to give your "in-the-box" production a more profession console sound. With the 5059 Satellite you get sixteen channels, each with their own individual level and pans, plus insert and bus-2 send buttons. With it, you can control two separate stem mixes, and create two different sounding mixes out of your channels. It has two stereo busses with master Texture controls. The Texture controls are continuously variable, with Silk and Silk+ modes, which you use to dial in and fine tune the harmonic ratio and tonality of each stereo buss. You use "Silk" mode to control the degree of transformer saturation in the high frequencies, which, when you dial it up, gives your tracks more sparkle. If you need to add more thickness and meat to your low end, that is where the "Silk+" mode should comes in handy. Dialing in the Silk+ should add more texture if your mix happens to be dry and thin. Using the Texture controls, you get the result of summing that pretty much promises to treat your audio with the same degree of analog warmth applied to classic hit music recorded and mixed in massive studios housing the Neve Designs immense console for the past decades. The summing mixer also gives you the ability to integrate the device with your outboard equipment. General user reviews across the internet on the Satellite are universally positive. I've read one user saying that using this in tandem with his DAW feels like mixing on a large console without faders. Another owner, actually being familiar with the large 5088 consoles by Neve, said that the Satellite actually gave the original a run for its money, which is quite a surprising claim. Others found that their subkick and bass is now more round, defined, and clearer to pick out from a dense mix, with vocals that are smoother and creamier than before. The Rupert Neve Designs 5059 Satellite is probably the best summing mixer hardware you can get right now for the money. It costs twice as much as the other great choices on this list, but it also has the highest praise, with generally more channels for summing. In researching for this guide, the summing mixer often that's often first recommended is the Dangerous Music D-Box--it's the one most sought after by buyers. It's price-to-specs ratio is quite impressive, and it has several positive user reviews across forums and boards on the internet. It's feature rich, too, as the device is a combination of analog summing mixer, monitoring system, and D/A converter in just one single spaced rack device. It offers a transparent, audiophile-grade monitor controller for tracking, mixing, and mastering, plus a talk-back microphone, two 20W/chan. headphone amps. It's D/A converter is also considered one of the best for the money on the market. And for all that, it comes at a competitive price targeted at the personal project studio market. The device is hand-built in the USA. As a postmixer device, the D-Box allows you to consolidate subgroups, stems, or individual tracks into a stereo track, summed through the device's analog circuitry. The D-Box has eight summing analog input channels (1 x D-Sub) and four analog output channels. In addition to the summing input channels are a pair of XLR analog inputs and a pair of digital inputs, which are labeled "DAW" and "CD" for digital audio summing. This is where the built-in D/A converter comes in handy, as it will convert you digital audio to mastering grade analog signals regardless of the source. The talk-back feature is also excellent. The built-in microphone can be controlled via foot pedal switch or the button on the device, allowing you to speak to anyone wearing headphones. The footswitch, however, is not included in the package with your purchase. But it is good to have that option. The outputs are two speaker outs plus a main stereo outs. With this connection setup, you can easily do audio referencing in your studio by toggling between two stereo sets of studio monitors. You can do this via the "Alt Spkr" button in the front panel, which lights up when you press it, indicating that you've switch monitor outputs. In addition, there is a pair of headphone outs, both which are amped. Both headphone outs have their own volume control, and will you lots of power for your high-impedance studio headphone. One reviewer, in fact, found that the headphone amps were sufficient for powering his third set of studio reference monitors. The main cons about the D-Box I've found from users online was, despite being so feature rich, it lacked the dim-switch, which would've been very useful for return to monitoring level after the need to lower the volume (for instance, if you needed to take a call or something. Also, the headphones outs will only monitor your input source. But otherwise, the crystal clear sound with lots of headroom generated a general user consensus that this device was certainly a game changer when it comes to mixing in-the-box. Dangerous Music D-BOX really shines when it comes to versatility and sound. These are the two main things that make this summing mixer stand out in the crowd. There are not a lot of choices when it comes to the summing mixers for the price, not at this level of quality anyway. But if the specs and features are suitable for your setup, you most likely won't regret getting this. Analog Outputs: 6 x XLR, 2 x 1/4"
The Radial Space Heater is an analog summing mixer with vacuum tube saturation. This summing mixer is not just about summing all your channels and giving your digital audio more headroom and a big-console sound. The people that made Space Heater, Radial Engineering, designed it to add depth and harmonic richness to digital tracks tracks, with lots of warmth or distortion drive that can be easily dialed in by degrees. 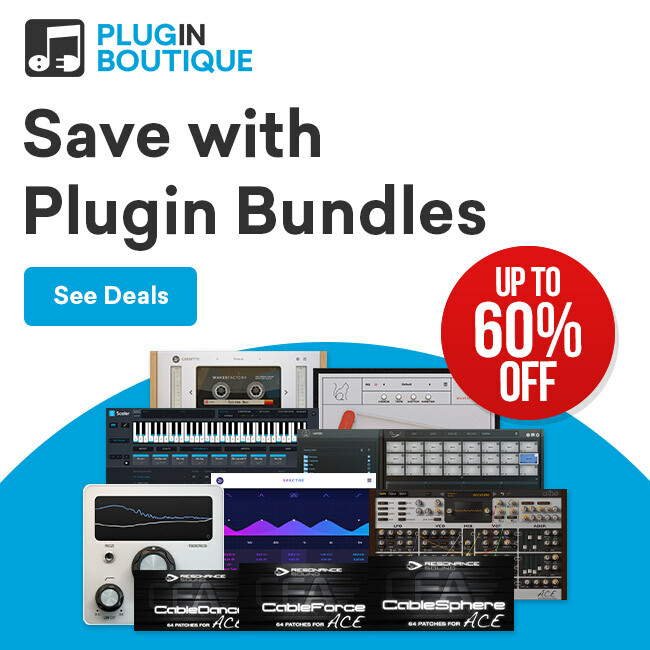 This makes it perfect for vocals, guitars, keys, or any electronic or acoustic instruments that you think could use the added warmth or bite to your DAW-based productions. The front side Space Heater features eight input summing channels that you can use to set up as a hardware insert. With this you can add tube saturation and warmth to your mix by sending individual tracks through the Space Heater. There are four 12AX7 vacuum tube modules on the device, each sharing two channels that work in tandem with the summing mixer. So when you've perfected the tracks and you want to sum your final mix, you can run your stems through the Space Heater and record the stereo mix with your DAW. Being that there are only eight summing channels, or four stereo channels, this means there is a little bit of a limitation in regard to the number of inputs you have. However, there are two stereo link jacks on the back of the device that you can use to link with another Space Heater for addition channel summing. Also on the back is a number of I/O connectors. These are eight balanced inputs (1/4" TRS), two balanced summing bus outputs (XLR), and eight pairs of send and receive jacks (1/4" TRS) for balanced inserts. If you want individual channel outputs, there is a DB-25 socket as well, with another DB-25 socket that works parallel to the TRS input jacks. In terms of function, you can adjust and fine tune how much clean headroom you will want before you add distortion, thanks to the three adjustable voltage modes (35/70/140-volts). With your selection, you can fine-tune the amount of analog warmth and distortion the Space Heater will give you. For instance, if you want a lot of gritty warmth and distortion, set it in 35-volt mode, which restricts headroom and adds more crunch. If you want a totally clean headroom with lots of space, set it to max at 140-volts. 70-volts gives you, consequently, a balance of large headroom and smooth warm sound. On top of that, each stereo pair can be adjusted individually so you can have a combination of clean sounds on one channel pair, and grit another another. 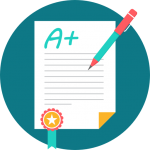 User testimonials are almost universally positive. Those who have used the Space Heater have said that it warmed their audio signal in a pleasing way, which they could control, causing the mix to really "glue" together. Many love its well built rackmounted design, finding it easy to mount and get going. Because it uses two D-Sub connectors, this also makes it simple for users to set it up and run ins and outs. Any downsides? Some users may complain that four tubes sharing eight channels to be limiting. You can run these as stereo channels in L/R configurations, there might be a bit of a challenge in getting the L/R signals to balance accurately since the knobs are not stepped. The Radial Space Heater is a great summing mixer that will give you a big console sound with added warmth and distortion to your discernment. If that's what you're looking for, then this is a great option for you, and at the price, it can't be beat. The Heritage Audio MCM-20.4 is a vintage style rackmounted summing mixer that simulates the big sound of those massive Neve studio consoles. It is a sixteen input channel summing mixer that provides analog audio with sophisticated routing options. Despite its hardware looks, that makes it seem like it was made in the 70s or 80s, this is truly made for your DAW based productions. There are a total of 20 channels, but 16 of them are summing channels with 2 groups of 8. What they provide is an impressive amount of head room with very low noise across all channels. If you're just looking for an elegant solution for summing your mixing channels for your DAW, but you also need something that has a lot of connections, then take a look at this. Here's the breakdown on what it has. The front of the device is populated by columns and rows of pots and knobs that control each channel's pan and level, with the addition of a mute switch. There are 2 stereo sub groups for the 16 channels. 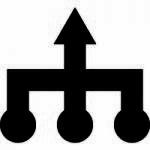 The subgroups are passively summed into the master bus, which has its own balanced point and VU meters. There are four channels for pre/post-fader aux sends as well on the front panel, and each channel allows you to port signal out to either 2 mono aux sends or a stereo aux effects. On the back, you have two pairs of XLR connectors, one for monitor, other for main, plus a pair of R/L XLR I/O connectors for master send and return. Finally, there are 8 DB-25 connectors at the back for I/O, insert sends and returns. Heritage Audio MCM-20.4 has great potential for you home studio. It's reasonable priced and comes with all the basics you need for a good summing mixer, with send, return, and lots of inputs and controls. If you're looking for that big analog sound for you in-the-box mixing, you can give this a go. If you're a music producer or audio engineer for your home studio, you know that getting the best sound possible from your gear is going to be a lifelong task to tackle. And as digital audio continues to dominate the music production scene, we all try, more and more, to squeeze out of our digital devices and software a sound that was only possible from thousands of dollars worth of gear in several square feet of space. We're getting super close to that ideal. We achieve this by relying on software emulation or outbound gear simulation. 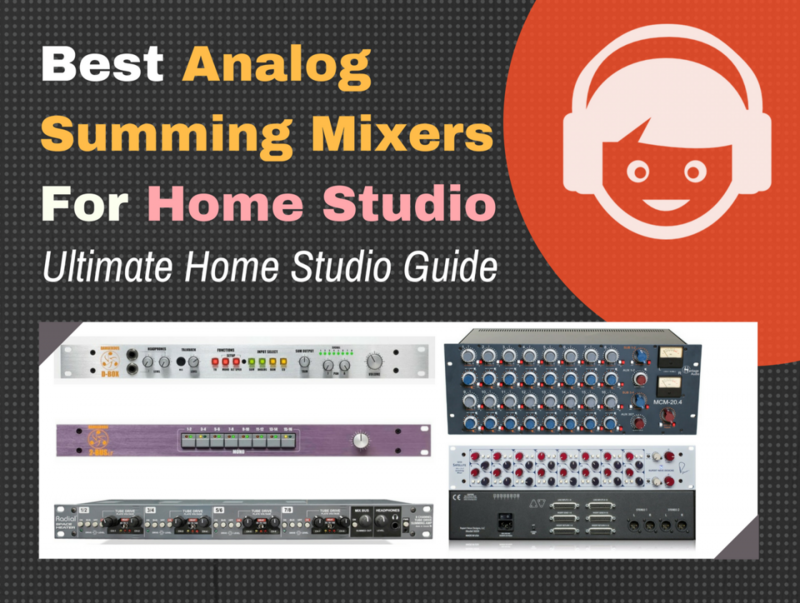 And one outbound gear solution that you'll find to be a great, and even essential, addition to any music home studio is the analog summing mixer. What is an Analog Summing Mixer? Summing mixing is very simple to understand if you keep in mind it's chief purpose: combining all your audio tracks from several output channels down to a simple stereo track. In other words, the stereo track is the "sum of" the total tracks on your mixer. Technically speaking, when we speak of "summing," we refer specifically to the "summing amp" within those massive hardware studio consoles. The summing amp is a circuit in the mix bus that handles all the audio channels running through the console. It combines all the electrical audio signals (analog signals) into one stereo output. In your digital audio workstation, the digital mixer has an algorithm which does a similar thing the summing amp does, but within the digital realm: it combines all your digital audio signals to one stereo output. 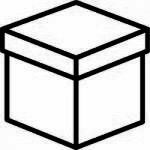 If you decide, then, to do all your mixing with just your DAW, you end up doing what is called in music production circles, "in-the-box" mixing (we'll call it ITB for now for short). However, many experienced producers and engineers find that, while not unethical, there are some general limitations that comes with solely ITB mixing. Often, working solely with digital audio signals can result in an overly "clean" and uncharacteristic sound, lacking the luster and character of classic recordings. This might not be entirely important for certain genres of music that are primarily electronic (and therefore, whose "clean naked" sound is characteristic of it... for instance, chip-tune or 8-bit music), but it really makes an essential difference in your mix if you want that commercial sound. Mixes can be small, thin, and flat, compared to the sound you'd get if you were mixing your music on a hardware console. Let's understand why this is so. It can be comprehended if you understand the difference between "analog clipping" and "digital clipping." Digital clipping, as you know, is not very forgiving. There is a definite ceiling to the level of output gain that you can send through a digital audio signal. This is why we are always warned against it, and why we are persistently admonished engineering mentors to "monitor your levels." Anything past a certain point is just going to sound nasty without any hope of redemption. This is the kind of clipping you get when working within a DAW. In the case of analog clipping, there is a higher, more undefined ceiling. Your voltage wires and tubes becomes hotter until it reaches the point of burn out, but up until that point, there is no "limit," so to speak. This virtual increase in headroom, and the ability to push your levels further and further, is what gives your audio that warm, characteristic "analog sound" that only the vintage gear can provide. While you must still monitor your levels, the maximum value beyond a certain "limit" is undefined. So you can get anywhere from clean, open sounds with lots of headroom, to crunched distortion that's full of grit and attitude. Both of which is missing it the typical digital audio signal environment. The only way to get the latter analog sound is to run your mixes through one of those large consoles. But most of us are going to be mixing in a DAW solely. So to breathe more life into our digital signals and receive the analog redemption that we want, we use an analog summing mixer/amp that will sum our channels, while still allowing us to mix inside of our DAW. The result is the flexibility and convenience that comes with mixing on our laptop or computer, with the feeling of a big studio console sound that would otherwise take up more room and cost than we could afford. Good. The result from using a summing mixer is often immediately apparent. Whereas previously your mixing in a DAW might feel "tight" and limited to begin with (due to limited headroom), mixing on analog consoles will feel larger and more expansive. Because of the analog circuitry, there is a larger allowance for headroom in your audio signals. This naturally adds a certain kind of "color" that a digital mixer cannot provide (unless it's emulated artificially). And there is more depth and definition that makes it easier to perform mixing decisions. You can "see" where everything is in your music, so to speak. Combine a summing mixer, then, with a good pair of monitors, and you'll be singing this Johnny Nash song. Some of the best summing mixer devices go as far as to provide you with distortion and saturation effects to add some fuzz and life to mixes. That said, even though there are lots of plugins on the market that can emulate that sound, like tape emulation plugins and exciter plugins. But the general consensus on the matter is that the authentic sound beats the emulated sound. That pretty much covers a basic introduction to summing mixers. This completes the buying guide and advice for finding the best summing mixer you can buy online. In this guide, you would've learned what analog summing mixing is, what it means, and why you would want it in your workflow. You also would've looked through the useful specifications and read the device descriptions, drawing a proper comparison between the leading analog summing mixers for sale to find which one was best for your kind of setup. This decision would've been based on the amount of channels you need, and the price that you can afford. You also may have hopeful come to a conclusion yourself as to whether or not you should get one, and hopefully determined that an analog summing mixer would in fact make a great addition to your music production and home studio setup. If you read this guide out of curiosity, let us know in the comments what your thoughts are. Do you have any of the summing mixers mentioned? What is your experience with them? Which other would you recommend that you felt should've made the list? This is the result of hours and days of research online to find the best summing mixer. 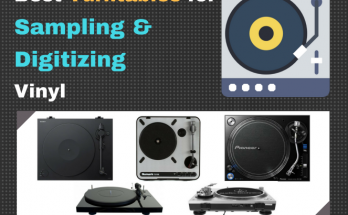 Research was done via forums like Gearslutz.com, combing through product reviews on Tape Op, Sonic Scoop, and Sound On Sound, as well as researched every bit of user testimonials from buyers and owners to come up with the best result that can be bought online. The result of this research brought be to a total 5 best summing mixer hardware that you should be using in your studio. Next Article Closed Back vs Open Back Headphones for Mixing – Which is Better?